Iran Crisis — The First Step towards the Establishment of New Multi-layered World Order? 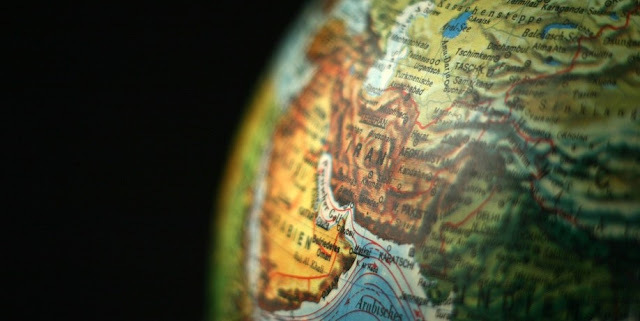 Home / Iran / Opinion / Russia / Syria / The Middle East / United States / Iran Crisis — The First Step towards the Establishment of New Multi-layered World Order? The United States' decision to unilaterally withdraw from the Iran nuclear deal and re-impose sanctions on Tehran has triggered a new crisis around Iran. The Trump administration states that it does not pursue the policy of “regime change” but rather wants to get a “change of behavior” from Tehran. However, the key American demands – withdrawal of Iranian forces from Syria, the halt of Iranian missile program and significant reduction of Iranian involvement in Iraq and Yemen – are tantamount to the capitulation. It’s obvious that if any Iranian government agrees to capitulate – that would be the shortest and safest way to domestic political turmoil which may result in regime change. Thus, the Trump administration either wishes to really bring about regime change in Iran or is just triggering tensions in the region to bolster its ties with Sunny monarchies with two key goals – to provide better security for Israel cultivating Israel – Saudi Arabia alliance and to significantly increase volumes of its military equipment sales to the region. Meanwhile, regardless of the genuine intentions of President Trump – the US pressure on other states and companies demanding to halt business with Iran or face American sanctions – has created tensions in US relations with both its allies and competitors. In the current transformational phase of international security architecture – when the US has lost its hegemonic position – but still is out of reach in any realm of national power; military, economy, diplomacy - the other centers of the international system are seriously evaluating their relations with the US. Some still hope for an active American involvement in the world affairs – European Union (EU), and especially Central and Eastern European (CEE) members of the Union, need US military umbrella to feel more comfortable in any dealings with Russia. Japan, South Korea, and Australia strongly believe that US presence in East Asia supports the "balance of power" there and give ironclad guarantees for their security in any potential crisis involving North Korea and, as a remote possibility, China. In this context, they are interested in the strong US and in partner relations with Washington. However, the growing unilateralism of the US, especially in the sphere of economy and trade, including putting tariffs on European and Asian allies and breaching the World Trade Organization (WTO) rules, as well as demands to end so-called “free riding” and start fair sharing of burdens, create anxiety among US allies. In this context, Washington’s demands to end economic activities with Iran or face the American sanctions are not acceptable to both US allies and its competitors. Though the US has granted waivers to eight states (among them China and India) to continue oil imports from Iran after November 2018 nevertheless it demands significant reductions of volumes. It is quite clear; EU member states, China, Russia, and India are not happy with unilateral US actions and its tough rhetoric demanding full compliance from Iran. In this context, the unusual alliance of EU, Russia, China, and India may emerge to counter the US and defend respective commercial interest. The EU has already taken some actions to protect its companies from US sanctions and establish independent mechanisms (i.e., special-purpose vehicle) to continue financial transactions with Iran outside of SWIFT system. Russia, China, and India are eager to deepen their cooperation with Iran too. Not surprisingly, the key EU member states – France and Germany are actively articulating the idea of more autonomous Europe with alternative financial institutions and even European army, capable of defending European interests regardless of the American approach. On the other hand, China, Russia, and India are taking steps to deepen their trilateral cooperation. During the recent G20 summit in Argentina, special trilateral China – India – Russia high-level meeting was convened, during which all three states confirmed their readiness and collectively shown interest to foster partnership, emphasizing the necessity for multilateralism and rejecting unilateralism and protectionism. The BRICS format which besides these three states includes also Brazil and South Africa is another platform to promote economic and political cooperation free of American influence. Given the fact that all these nations are interested in keeping Iran deal alive, there are chances to establish a platform which may for the first time unite EU, Russia, and China in their efforts to counter the US. Definitely, as for now, Iran deal is a unique case. EU and Russia are in bitter disagreements over Ukraine and EU are suspicious about China’s true intentions in its flagship Belt and Road Initiative (BRI) especially regarding China’s growing involvement in Eastern and Southeastern Europe through 16+1 format. Even Russia has some concerns over the Chinese economic influence in Central Asia especially in Kyrgyzstan, which is the Collective Security Treaty Organization (CSTO) and Eurasian Economic Union (EEU) member state but where China has already outpaced Russia economically. Despite recent high-level India – China contacts including April 2018 summit in Wuhan, two Asian giants are not able to overcome their differences on border issues. Some states, like the Maldives with its newly elected President, is looking for India to leverage Chinese influence. However, if international cooperation to defy US approach on Iran gains the momentum, the Iran deal may become the first case after the end of the Cold War through which different centers of power may unite their efforts to counter the US. If this proves successful, the crisis over Iran nuclear deal may well be remembered not as a fight to punish or protect Iran but as the first step towards the establishment of new multi-layered world order. Dr. Benyamin Poghosyan is the vice-president for research and the head of the Institute for National Strategic Studies at the National Defense Research University in Armenia holding this position since August 2016 and Executive Director of Political Science Association of Armenia since 2011. In 2013 he was a Research Fellow at the U.S. National Defense University. 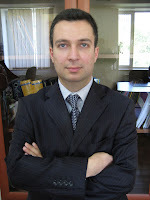 His primary research areas are the geopolitics of the South Caucasus and the Middle East and the US – Russian relations and their implications for the Post-Soviet space. He joined Institute for National Strategic Studies (predecessor of NDRU) in March 2009 as a Research Fellow and was appointed as INSS Deputy Director for research in November 2010. Before this, he was Foreign Policy Advisor of the Speaker of the National Assembly of Armenia. Dr. Poghosyan has also served as a Senior Research Fellow at the Institute of History of the National Academy of Sciences and was an adjunct professor at Yerevan State University and in the European Regional Educational Academy. He is the author of more than 70 Academic papers and op-eds in different leading Armenian and international journals and media platforms. Dr. Poghosyan is a graduate of the U.S. State Department Study of the US Institutes for Scholars Program on U.S. National Security Policy Making. He holds a Ph.D. in History and is a graduate from the Tavitian Certificate Program on International Relations at Fletcher School of Law and Diplomacy.